Chairman of the Hamas political bureau Ismail Haniyeh has expressed his readiness to meet with Palestinian President Mahmoud Abbas to urge holding the elections and completing the Palestinian national reconciliation. “I welcome brother Abu Mazen (Abbas) and I am ready to meet him in Cairo today, not tomorrow. Or he may come to Gaza, which is part of his homeland,” Haniyeh said in a meeting hosted by Al-Masry Al-Youm in the presence of Khalil al-Hayya, a member of the movement’s political bureau. The former Palestinian prime minister, who is currently in Cairo for talks with the Egyptian authorities, called for a quick and urgent Palestinian national dialogue soon in Cairo that includes all the factions. He said Hamas would welcome the formation of a national government or holding general elections for the presidency, the Legislative Council, and the Palestinian National Council as an initial step towards reconciliation. 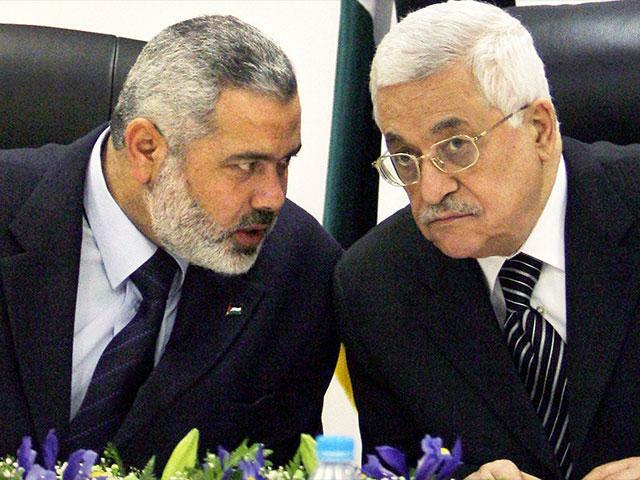 Haniyeh described the recent Hamas meetings in Cairo as strategic, high-level and advanced. He added it discussed bilateral relations between Egypt and the Palestinian people, political developments and the dangers surrounding the Palestinian cause, national reconciliation among Palestinian factions, and the humanitarian conditions in Gaza Strip amid the siege imposed on it. Egyptian officials assured the Hamas delegation that the Rafah border crossing would remain open on an ongoing basis to alleviate the suffering of the people of the Gaza Strip, according to Haniyeh. He added that the Hamas delegation discussed with officials in Cairo the Egyptian national security, stressing that Gaza is a source of security to Egypt and not a threat. Hamas imposed “almost complete control” on the border area that prevented the smuggling of weapons and goods through tunnels. Gaza is not separate from the West Bank, Haniyeh stressed, holding the Israeli occupation responsible for the deterioration of the conditions of the Gaza Strip. The details of US President Trump’s “Deal of the Century” has not been put forward to Hamas, said Haniyeh, expecting its failure due to a consensus of Palestinian and Arab rejection to it.